Hear the message from Sick, the meanest ganglord in town: "I hold your high school captive, and some of the students will have a trying moment, if they're ever fool enough to cross my path!" But you aren't afraid of anybody! 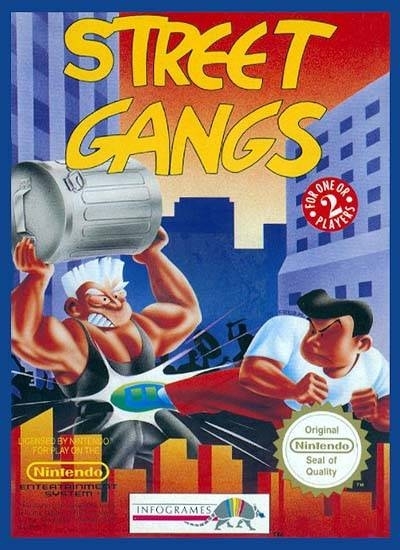 Face the terrible gangs and neutralize their bosses, in order to deliver the city from terror! Hahah, lol. Fun old game. This cartridge is still jammed in my old NES. I think they would both wail in despair if I tried to pull it out. 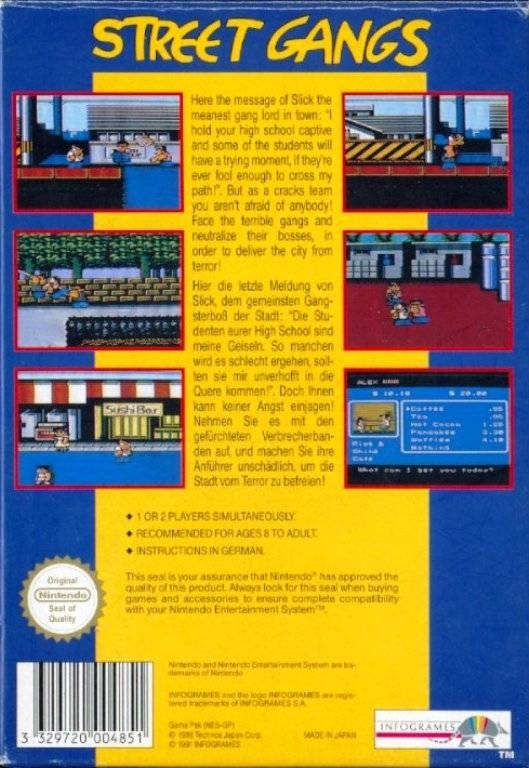 Definitively one of the best NES games ever released! 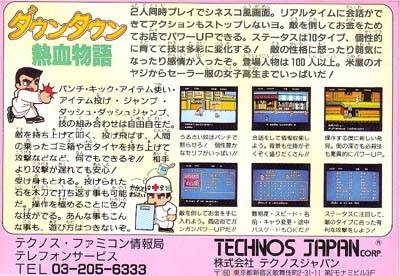 Like other late titles like Kirby's Adventure or SMB3 it offered gameplay in SNES quality and also very impressive graphics, of course... By the way the soundtrack is great! 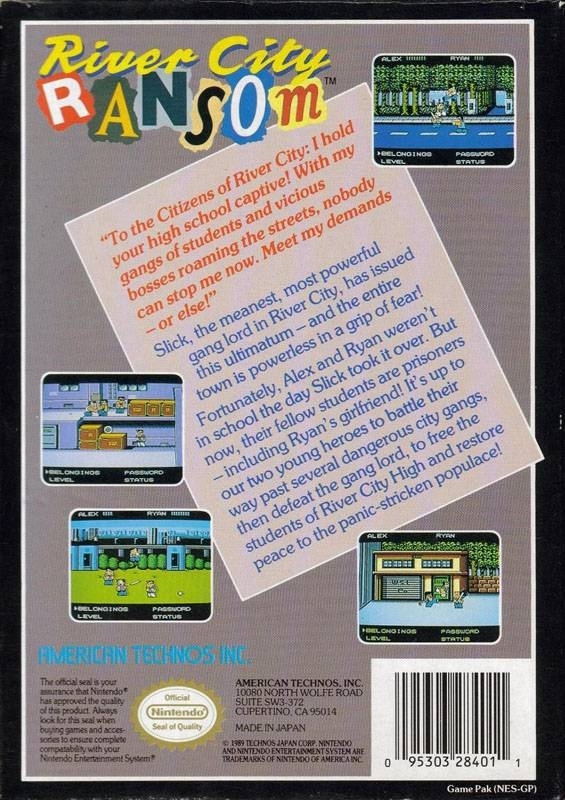 River City Ransom was on the NES. 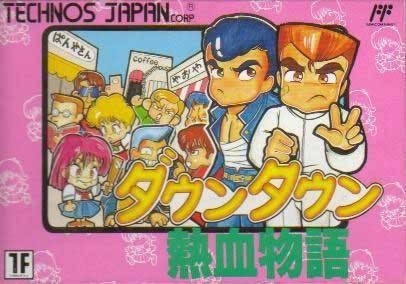 River City Ransom EX was on the GBA.